Lemon Molten Lava Cakes are a bright and perfectly decadent dessert! 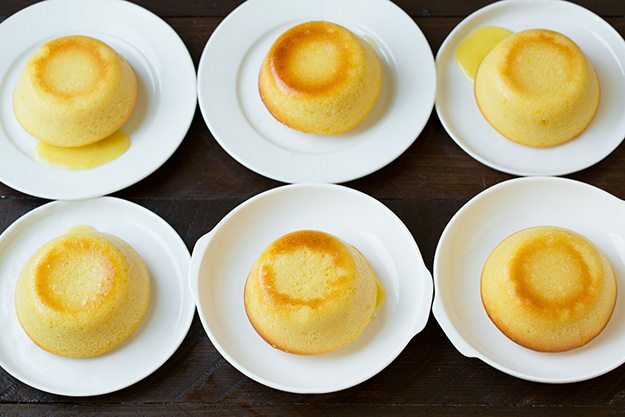 Tender lemon cakes are filled with a warm molten custard center and sure to leave everyone smitten! Easy to make and sure to satisfy to sweet cravings. 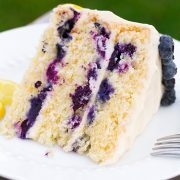 Nothing says summer quite like a vibrant lemon dessert does! 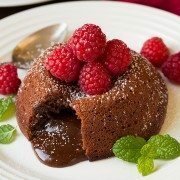 I’ve always loved molten lava cakes since I first tried them as a kid at restaurants but it wasn’t until I was older that I learned how easy they are to make, plus the ones made at home are always better! I shared Molten Chocolate Lava Cakes earlier this year and I’ve been totally crazy about them ever since thinking I’d never find a molten lava cake I liked quite as much but now I’ve found it’s competitor. 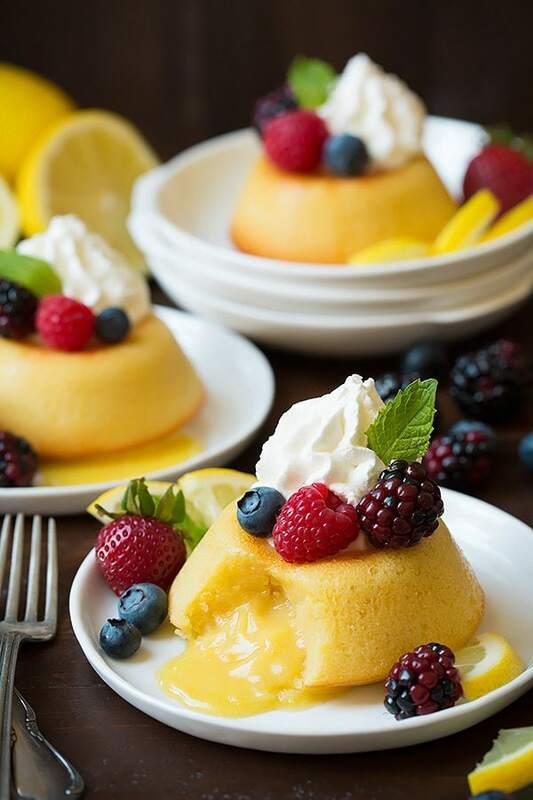 These Lemon Molten Lava Cakes have just the right amount of sweet and tart, the molten center is rich and custardy, the cake is soft and melt-in-your-mouth delicious, they’re perfectly lemony, and when topped with fresh berries and cream they become an over-the-top dessert that no one will be able to resist! Preheat oven to 425 degrees. Place 7 (6 oz) custard cups on a baking sheet. Melt white chocolate with butter. Stir in flour, powdered sugar and salt then add in eggs, egg yolks, lemon curd, lemon zest and vanilla. 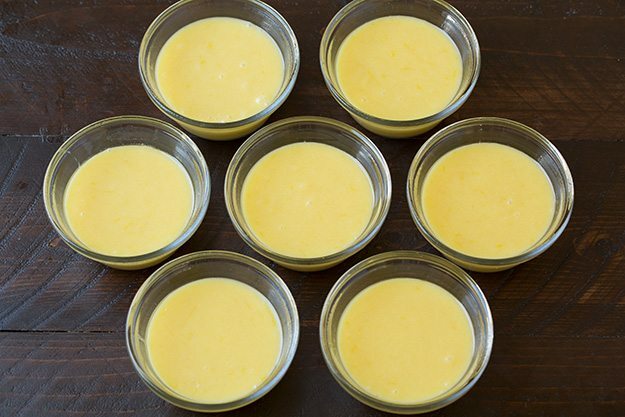 Spray custard cups well with non-stick baking spray then pour mixture into cups filling each about 2/3 full. Bake in preheated oven until edges are golden brown and centers are puffy and just beginning to set, about 14 – 17 minutes. Run a knife around edge to ensure they are loosened then invert cakes onto individual dessert plates, top as desired. What Can I Make with Left Over Egg Whites? If you are looking for something to do with the left over egg whites check this list here. Or just add an extra egg white to your sunny-side up or scrambled eggs each time you make them for the next few days. No need to waste good egg whites. 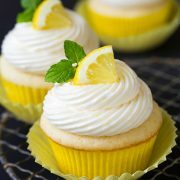 More Lemon Desserts to Try! A bright and perfectly decadent dessert! 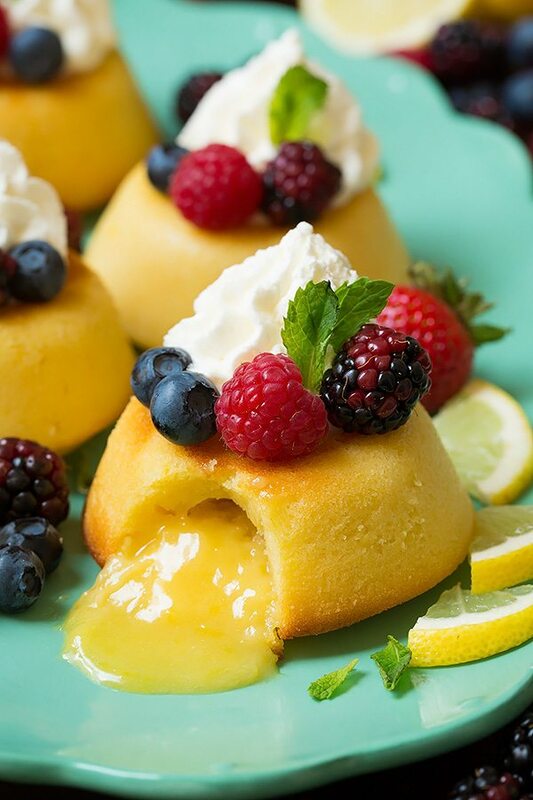 Tender lemon cakes are filled with a warm molten custard center and sure to leave everyone smitten! For the cakes: Preheat oven to 425 degrees. 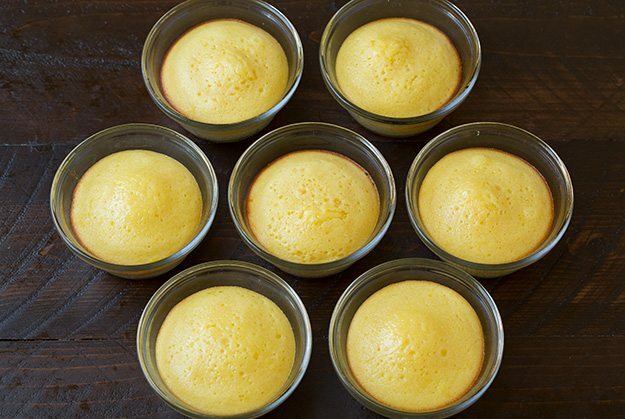 Place 7 (6 oz) custard cups on an 18 by 13-inch rimmed baking sheet. Stir in flour, powdered sugar and salt then add in eggs, egg yolks, lemon curd, lemon zest and vanilla and whisk well to combined. Spray custard cups well with non-stick baking spray then pour mixture into cups filling each about 2/3 full (1/2 cup in each). Bake in preheated oven until edges are golden brown and centers are puffy and just beginning to set, about 14 - 17 minutes. Let cool on a wire rack 10 minutes (meanwhile whip heavy cream. Alternately you can let them cool just a few minutes and serve really warm dusted with powdered sugar and omitting the whipped cream). Run a knife around edge to ensure they are loosened then invert cakes onto individual dessert plates. For the toppings: In a medium mixing bowl using an electric hand mixer set on high speed whip heavy cream until soft peaks form. Stir in powdered sugar then whip until stiff peaks form. Transfer mixture to a piping bag fitted with a large star tip. Pipe whipped cream over cakes, top with berries and garnish with mint. *Now at this point be sure you have all remaining cake ingredients ready to add because if you add the flour and let it sit very long the mixture will thicken and clump and it just won't mix together as well). Mary Meehan: Can these be made ahead of time and then reheated before serving. Will it still come out with the Molten filling?